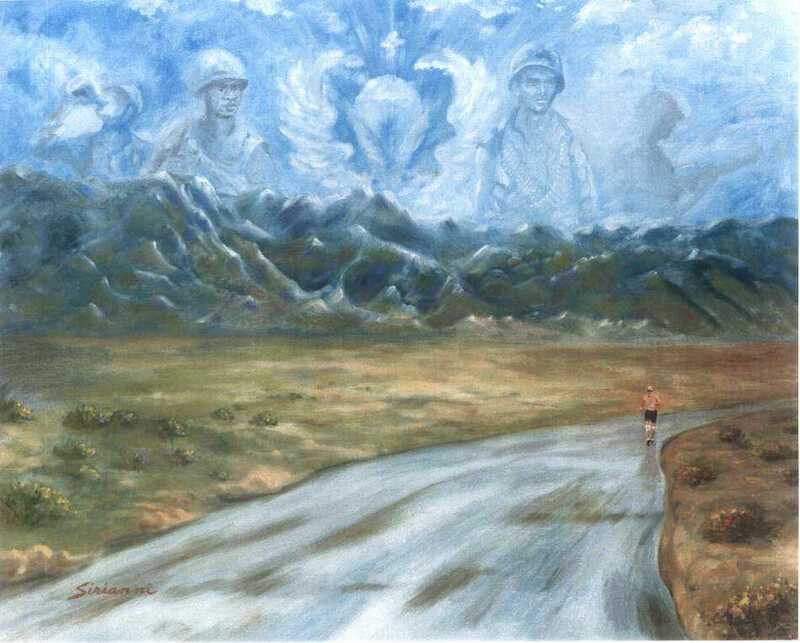 This piece was done in homage to the team of veterans who have participated in the Death Valley Marathon, a combination parachute jump and 100-mile run through the desert. The lone runner in the painting is Don Kieffer. He died when his parachute failed to open during the event.